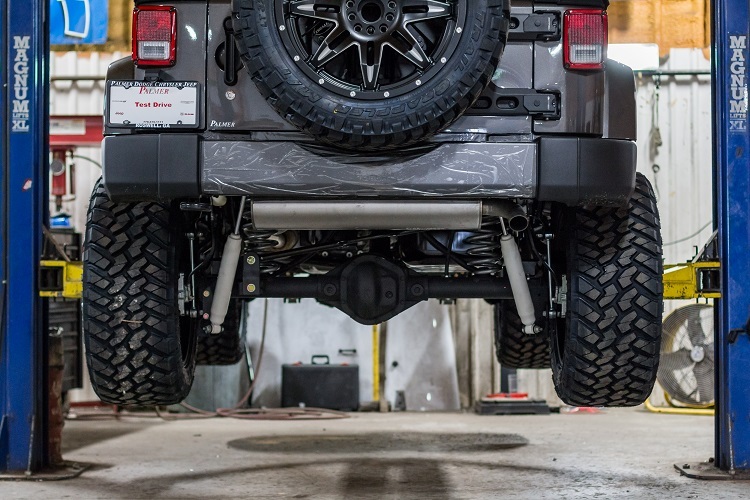 One of the top benefits of using a Jeep lift kit is the opportunity to add larger more robust tires. At the same time, most Jeep enthusiasts consider a tire upgrade as one of the biggest trail performance items. The right tires will improve your clearance, traction, and many other trail performance measures. While a small upgrade will result in a performance boost, when it comes to Jeeps the bigger, the better…without limits. Each tire is designed to work optimally with a certain rim size. For instance, a 33” tire should go onto a 33” rim. When it comes to width, each tire manufacturer provides a listed range for any particular tire. Most of these will be listed in measuring rim width (MRW), which explains the rim size used to obtain the section width specification. The best solution is to make the rim width equal to the MRW. If you choose not to, you should at least stay within the recommended width. Failure to do so will result in increased highway wear and squirrelly handling. If your rims are too wide, it will most likely pull the treads up in the center. If the rim is too narrow, it may pull the edges of the tread away from contacting the road. If you are off-roading, either of these scenarios may lead to your tire being more vulnerable to being rolled off the rim at low trail pressures or susceptible to rock damage. Another critical factor in creating the optimized off-road vehicle involves the tread design you choose. The tread design will dictate trail and street performance as well as your ability to get optimum MPGs. It can also affect how fast and how evenly your tire wears for better or worse. When choosing the right tire tread, make sure you evaluate your traction needs in the places you visit most often. Then balance your off-roading needs with your street driving needs. Tread design can be generally broken up into four different categories: the mudder, the street tire, the all-terrain tire, and the rock crawling variation of the mudder. Make sure you understand the pros and cons of each before you decide which tire you will use on your Jeep. When it comes to the rim or wheels of your Jeep, there are two main categories: steel and aluminum alloy. Although steel wheels are heavy, they are relatively inexpensive, tough, and very malleable. Alloy rims aren’t as malleable, but are lighter and typically stronger than steel. Malleability is an important factor to consider when making repairs to a damaged wheel. Alloy wheels are more difficult to repair, but forged alloy wheels are slightly easier to manipulate than the traditional alloy wheels. In most instances, it’s go big or go home when it comes to Jeep tires and wheels. However, it’s important that you understand the nuances of tire size and choose the tire and wheels best suited for how you will drive the vehicle. Contact Palmer Custom Jeeps by SORS in Roswell today to learn more about choosing the right tire and wheels for your Jeep.